I read about this first over at Farley's blog, and then here at Ali's blog. I pretty much love it. Resolutions are so hard to keep, but one word? I can do one word. The Good Lord knows I am the kind of girl who needs Him right-there-in-my-face. (Anybody else?) So, when this word popped into my head I knew it was Him talking. And who am I to argue with Him? So that's my word. And the more I think about it, the more I want to hold tight to it. I want to show more grace - to my husband, my family, my friends and those precious faces in my classroom every day. I want to seek His grace. Daily. Hourly. Minute by minute. I want to accept His grace. That's the hard one for me. Accepting his mercy, clemency and pardon. Yep, those 3 words hit me pretty hard. Did you pick a word for this year? I'd love to see it! Leave a link for me in the comments! PS - Don't forget about the ginormous giveaway that ends on January 6th! Click here! LOVE your word AND I am so excited to find another third grade blog. 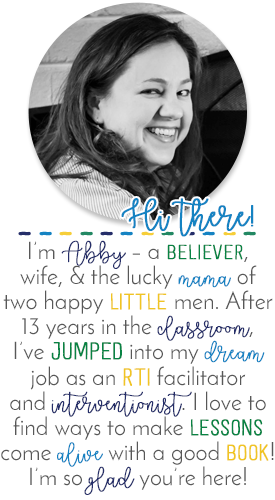 =) I am a new teacher and these blogs are amazing resources! I love this idea! I am not a New Year's resolution type of person either, but I love this One Little Word idea!! I am going to do a post about this on my blog! Just started a teaching blog, so I'm excited about this! Thanks for sharing! I am a new follower, I just found your blog last night! :) Looking forward to checking it out. Wow. I love this post. Found you through Mandy's tips for teachers and I'm going to follow you now too. I love how you show your faith on your blog.